Posted by Carolyn Burns Bass in guest host. From the publisher: Sportuality, by Jeanne Hess, is an examination of sports at all levels from a Western perspective, focusing on how it reflects our cultural belief in separation and dualistic thinking, as well as how sports can grow peace, understanding, and joy. Sportuality crosses disciplines of sports and spirituality to help readers—athletes, coaches, parents, and fans—evolve a higher consciousness within sports and competition. Jeanne Hess will discuss Sportuality in #litchat from 4-5 p.m. E.T. on July 12, 2013. Login to our dedicated chat channel to participate in the conversation. Using a journal and questions for self-reflection—called a “box score” and “time-out”—readers can reflect upon and create their own sportual stories. By examining words traditionally used within sports, Sportuality helps the reader think critically about competition, community, communication, spirit, humor, enthusiasm, education, religion, holiness, sanctuary, sacrifice, and victory. Sportuality can also expose our learned beliefs in war and violence so we might be willing to choose the alternatives of joy and peace. Jeanne Hess was born on the cusp of Title IX, grew up in suburban Detroit as a tomboy in the 1960s, and came of age as a varsity athlete at the University of Michigan in the 1970s. 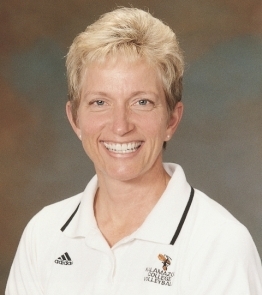 The allure of sports and spirituality was nurtured throughout her 28-year career as a volleyball coach, professor of physical education, and college chaplain at Kalamazoo College, and by virtue of being the wife of a coach and the mother of two professional athletes. Raised as a dualistic Catholic-Episcopalian, Jeanne has embraced the universal nature of Catholicism, defining all people as God’s children united in spirit. She lives in Kalamazoo, Michigan, with her husband, Jim, whom she met in a gym. Their lives have been defined, shaped, and enhanced by several different gyms and athletic arenas. Follow Jeanne Hess on Twitter: @Jeanne_Hess.